A while back there was a TV program in Holland called ‘Hunted’ where teams of 2 people had to evade a team of multiple people acting as the police in Holland (will be called ‘police’ after this). This team had the same tools at their disposal as the Dutch police has, at least that is what we were told. The teams that played the game knew they were going to play in advance, so they had time to prepare and at some point they got a message telling them the ‘game was on’ and from that point in time they were fugitives. The teams were given a bank account with 500 euro and they were allowed to borrow another 250 from other people. The last one I understand is needed for the program to work, the other 2 I understand from the police point of view, but if I had planned to do something that would make me a fugitive for real and had time to prepare I would do things a bit different and probably outside of the rules of the game. Well, this one seems obvious and we all have seen it in movies and TV series, the police can track your use of credit cards and debit cards, so do not use them during your escape. Giving the players the options to get money they had was a huge benefit to the police. Most teams were caught on camera while trying to get money from an ATM or while paying in a store. So the solution is simple, get as much cash as you think you will need in advance and take that with you while on the run. That will avoid you being spotted when getting cash while on the run. The players seemed to were only allowed to communicate by calling and sms, which of course is a ‘no go’ when you are on the run as you can see in every movie and TV series out there. Even a widely used app like WhatsApp will encrypt your messages which would make it impossible (or at least very hard) to read them for anyone else. There are also other ways to communicate, for example an app called Signal, which was used by Edward Snowden and he is still out of the hands of the NSA, so I think it works. There are also ways to email with people that stay hidden, something like ProtonMail for example which has end-to-end encryption and even has settings so email send to someone will be deleted after a set period of time. Some of the teams did get a new SIM card for their phone, but still used their old phones (which were traced already) and still used calls and sms. Having people play the game that are smart enough to get a new SIM card but do not use a new phone or encrypted communication also makes me believe they were just not allowed too. So, get new phones and pre-payed SIM’s (don’t pay for them with your own credit or debit card) better get a few just to make sure. Give one to someone you REALLY need to communicate with and make sure they stay hidden at all times. Don’t call, don’t send sms, use some encrypted way to communicate instead. Use wifi from Starbucks or McD’s and not the same one all the time of course. Almost right away the player’s social media were checked and some were caught because they were staying or communicating with their ‘friends’. Their social media profiles were also used by a profiler to get to know the players, getting to know what skills they have, what areas they know, if they can live a long time without friends and family and much more. The best way is to just get rid of all the social media stuff. Remove all your posts and delete the accounts or at least set stuff to private if possible. On Facebook for example you can set all your previous posts to private with just a few clicks, this way only friends will be able to see your posts. Twitter seems to have something similar, but warns you that tweets posted before might be still visible at some locations. 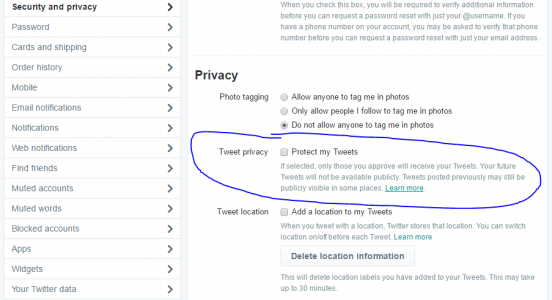 They mention that apps you gave permission to display your tweets might still show them. 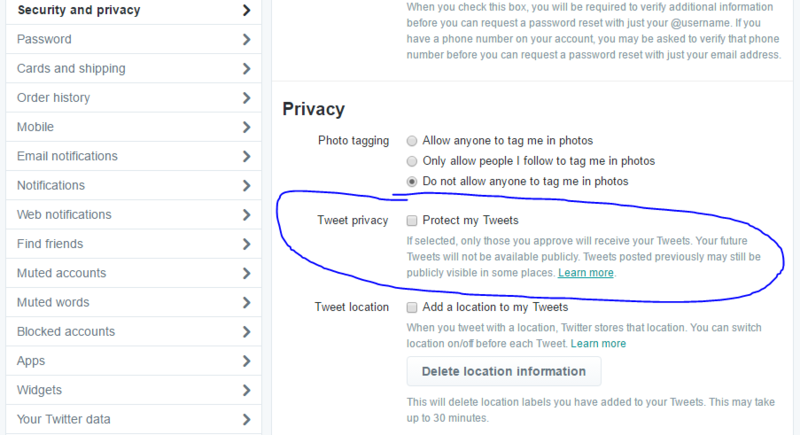 On Instagram you can temporary disable your account which should make your account hidden from view. No idea if that actually works. Social media is one thing, but what kind of stuff do you have sitting on your computer, laptop, NAS, phone and tablet at home? Does one of them log in to your social media or email account automatically and do you have to put in a password of fingerprint every time you want to use it? Chances are that if the police gets a hold of one of those devices they can access all your stuff. This was also shown in the program. They used the Facebook account from one of the players to post a fake message to try and get one of her friends to reveal her whereabouts. So, get a password on that stuff is the least you can do. I would just take all that stuff with me and store it in a safe location (are there still lockers at train stations?) or just trash it with a hammer, better safe then sorry I guess. Sure, taking your desktop PC with you might not be easy, but get the hard-disk out. I have a tiny and very light SSD in there, that will not be any problem. There are camera’s everywhere on public transport, but also lots of crossroads have them and many more other places so there is a chance you are spotted everywhere. But to spot you they have to know where to look first, they do not track every camera in the country in real time. During the show people withdrew money from an ATM and with a camera near that ATM they were able to see the licence plate of the car they were in and track them from there, some people traveled by bike, which might work OK, but is slow. Other hitchhiked which is a good way to travel, but if you are on the run for real you might end up on a most wanted TV program with chances one of the people you hitchhiked with will remember you. For some reason all of the players avoided public transport, but to be honest I think that might actually be a good way to travel, especially during rush hour when it is crowded and you can blend in with the crowd. Wear a hat or a hoodie, sunglasses and headphones and they will probably not spot you on any camera IF they actually have any idea where to look and if you do not make a mistake, by using a public transport card on your name or pay with your debit or credit card to buy one I’m pretty sure they will not be able to find you. On January 18th the fugitive scenario became a reality in Holland. A prisoner that was transported to the hospital escaped his guards and took off. Today, 8 days later, there is no trace from that guy (at least he is not caught yet) which kinda proves it is very possible to keep away from the police when you are hunted. OK, chances are that guy has left the country already, but that usually is the objective of any fugitive and so far he seemed to know what he is doing. Tagged fugitive, hunted, NPO, opsporingsdienst, privacy, spel, voortvluchtig.